Verizon released a new “Acceptable use policy” to take effect March 4, 2008. One of the main purposes of the new policy is to squash all freedom of speech by their users and to make public their policy of spying on their customers for government and industry behalf. Recent internet postings from American citizens have pressured government to reject senate bills granting Verizon and other large telecommunications companies immunity from any possible civil and criminal liability for laws broken with illegal wiretapping. Verizon has admitted to breaking these laws, but has, with the Bush administration, kept most of their activities secret from congressional and public oversight. The public fought against immunity for telecommunications companies, some of the type of political speech that Verizon is attempting to silence with this new document. The new policy, released Feb 29, is multiple pages long and deals with vague restrictive policies that provides the ISP censorship control over all internet content by its providers, in strict violation of constitutional law. For civil libertarians and those who feel that the ruling class in America has become far too restrictive of all civil liberties, this latest policy will be most disturbing. Verizon is part of the upper % of America that has tremendous control over public laws and policies. This new policy is unilaterally being pushed on their users, with no recourse. Part of this overreaching new policy is a clause claiming Verizon has the ability to view, store, and share all internet activity and to share all this information with the government and all other entities. This shared information includes personal information. Most of the new policy appears to be a reaction to the only viable outlet for American citizens to be involved with public policy and exercise their Constitutional rights, such as freedom of press and speech. The internet is the main channel that American citizens can use to achieve their Constitutional duty as overseer of those governing bodies, such as Verizon. The public is starting to assert those rights and duties, actively asking for no immunity to telecommunications companies that broke the law, no removal of our web pages (Baer and Wikileaks), and no government secrecy and torture. Those public debates have threatened the governing bodies’ belief that they alone should make decisions without oversight or debate. This document is one of Verizon’s attempts to destroy those rights, for their continued obscene (and yes, improper) profits. The new policy by Verizon is quite long, so the sections here will take up some space, even in summary form (quoting directly from the source document). Verizon feels they alone can determine the nature of all internet use, not you nor any 3rd party like a court or public opinion. Verizon’s own actions are indecent and might be legally actionable, but they have to power to restrict our speech and grant themselves immunity. The terms are very vague, including the meaning of ‘indecent’ and ‘objectionable’. 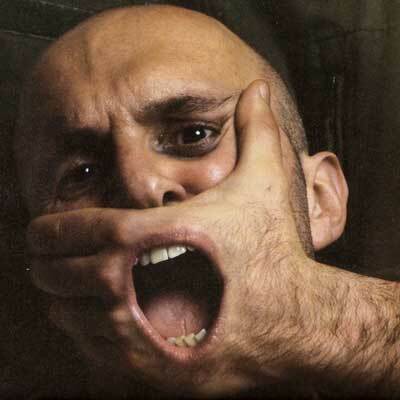 Freedom of speech, by definition and court decisions, protect all of these types of speech. The courts have decided that hate and racist speech, like that of the KKK, is protected. This policy restricts much more than people like the KKK, it restricts all speech – with this vague language. Verizon wants to silence everybody. Luckily the United States Constitution protects all citizens from this behavior. Unfortunately, Verizon appears to have the power to override the constitution – at least at this point. The policy continues, “You may NOT use the Service as follows: (a) for any unlawful, improper or illegal purpose or activity”. To which code of etiquette ‘improper’ refers is unclear. Do they allow you to write about keeping the soup spoon on the left side? I always write with my pinky finger raised, thankfully. Throughout this document, terms like ‘implied’ are used, which could mean every speech. This document is so vague and restrictive, that it is almost impossible to find an internet post that does not fall under these restrictions. If someone posts that they are Christian and follow the bible, it can imply that they follow every aspect of that text, including the parts that deal with harming non believers. According to this document, that would be restricted. It is just intolerable in a society, even partially free, to allow such a restrictive powerful entity like Verizon to unilaterally force such a system, as seen in this document. At this point, I would like to explain what I would find acceptable, in this document. Verizon, I feel, has the right to distance themselves from any legal or liable responsibility for any illegal or liable action resulting from someone using their system to connect to the internet. If a user breaks the law or is sued for liable behavior committed by an individual or company using Verizon internet connection, I do not believe Verizon should be liable (unless they took an active part) and their user agreement should spell this out. In fact, prior versions of this policy contain exactly that, (from memory I do not have a copy available to review). Moving on, because so much of this very long document is intolerable to society. The document restricts posts that are: “flaming’ and “off-topic”, “deceptive” (like when Verizon was fined for deceptive activity? ), “to use any name or mark of Verizon, its parent, affiliates or subsidiaries” (to use their name online? How do we as citizens or journalists refer to them, as the ‘BIG V’? ), “or to cause the screen to “scroll” faster than other subscribers or users are able to type to it”. 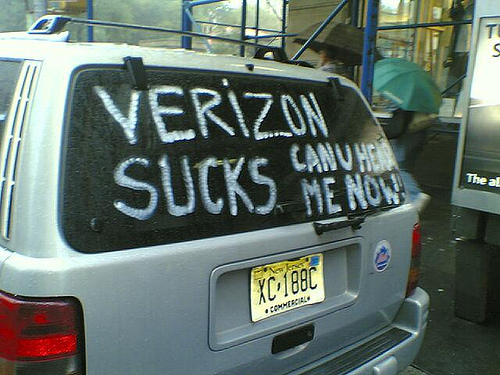 Here is an interesting attempt by Verizon to circumvent court rulings. Courts have ruled that people can retain anonymity and free speech over the internet (see ruling summary here). That isn’t surprising, considering the basis of American law. However; Verizon here wishes to circumvent those ruling by removing all who, “…use a false name while using the Service or implying an association with Verizon.” Taken as worded, this apparently applies to people who post without their real name (like SkeptiSys) and imply they have used Verizon’s services in the past (association). That the name is false or hidden and the association can all be true and legal, is only an obstacle for Verizon. Another item : “to make false or unverified complaints against any Verizon subscriber.” This clause is ridiculous. Many statements will be unverified or unverifiable. “I bet that there is a Verizon customer who drives an SUV while eating Cheetos”, is a statement both false and unverified. A different twist in this one: “…to generate excessive amounts (as determined by Verizon in its sole discretion) of Internet traffic”. Verizon has already been fined for falsely deceiving their customers over internet connection, but this is truly fraudulent. People signed up for a rate of data transfer, and then they are later told that the rate is limited. How limited? We are not saying yet, just that we plan to cap the amount and charge you lots more for the same or less service. What a scummy way to do business. I need to cut this article short (I believe it is Verizon’s intent to make the document unreviewable based on time and effort) . This last part says they can at their discretion look at everything you do online, and will not keep that information private. They can, at their discretion, share that info with any person company or government they see fit, at a minimum on a suspicion. Of course, there is no recourse or criteria for such a suspicion. This clause actually states that they feel they have the right to spy on all users activity for the government and anyone else. Amazing. People, the frog is beginning to boil. I was astonished when I read the new AUP. I’m no lawyer, but it sure sounds to me that it violates way too many constitutional freedoms to be enforcable. I hope this hits mainstream press. Thanks, other internet news outlets are starting to pick up on this, but leaving out key parts, because the document is so cumbersome. I agree that the courts probably will not accept the unconstitutional portions of the document, but the main damage may be done by then. Warrantless wiretapping has been rejected by every open court that has heard the case, but is still performed. Ha! Thanks sadistic racist, that’s funny. May I call you Sadie? there new policy 5 gig limit .25 cents a meg would cost thousands to consumers using the internet for what the normal masses do.I got unlimited access in febuary 2008.didnt notice restrictions for 6 months.now that i got netflix the restrictions are clearly evident to me!why would i want to pay 80 dollars a month for service on a broadband network “UNLIMITED” that is as slow now as dialup!deceptive for sure. stuck for shure contracted till 2010 and nothing I can do! You are absolutely correct, Doug – the new restrictions are a big problem, some parts of which I wrote in a separate entry. Japan recently introduced internet transfer limits, which only affect uploading (not downloading) and the limit is 30 Gb per DAY! I think the issue we’re ALL over looking is the “constitutionality” of whether ISP’s should even be allowed to keep records, of any traffic through their system. This in and of itself seems to be the crux of the issue. Just keeping said records should violate at least a dozen laws, at least I was taught. They are in effect, recording (keeping records thereof) my private conversations, emails, phonecalls, etc.without probable cause OR warrants…. They may be immune to suit AFTER they have the records…but where do they have the right to even KEEP them? I mean, they can’t “give up” records they don’t have….now can they? Sure some moron flew a plane into the World Trade Center(s)….but does this give ISP’s the legal right to keep records of all internet traffic? Even WITH all the records, I don’t see how they could have prevented anything, or will be able to do so in the future. I think the main issue here is not what they are or are not allowed to do with records they keep, but rather whether they should be allowed to keep them at all, without clearly provable probable cause and/or legal warrant. What happened to the Privacy Act of 1937? What’s next audio visual monitors in every home, just because someday in the future the home owner MAY do something illegal? Mr. X, you are absolutely correct about the disturbing loss of privacy. One major snag is that, although clearly ISPs and other huge corporations are effectively governing bodies that have more control over citizen’s lives and statutes than do most or all individual states, the court system has found them to be citizens and not affected by the same constraints as the traditional government. To overturn such a ridiculous legal distinction is necessary and difficult, and would require a good legal case and a supreme court that is more liberal. I AM BEING HARASSED BY VERIZON DSL EMPLOYEES. The Verizon Managers are in collusion with Temple University in Philadelphia. In essence, they SPY on the personal DSL accounts of University Employees and Students. YES, VERIZON EMPLOYEES WILL SPY ON ANYONE’S DSL ACCOUNT ACTIVITIES FOR THIRD PARTIES, and I’m not talking about the government. They do this especially in PHILADELPHIA. And the reason they can get away with it: Corporate PLAUSIBLE DENIAL. AND … I HAVE WONDERFUL NEWS!!!!!!!! … ALL THEIR OVERAGE CHARGES… TO SO … KEEP THINGS IN PLACE!! THEY WILL HAVE TO BE SCRUTINIZED THEM SELF!!!!!!!!!!!! BLESSINGS FOR ALL YOUR WORK IN BRINGING THEIR BEHAVIOR PUBLIC!! Sorry for some missed placed words above…. … NOTHING (DATA, TEXTING, & CELL PHONE USE)!!! … AND NOW.. THANKS TO THE WORLD SO KNOWING THIS IS TRUE!! … WILL SO HAVE TO CHANGE THEIR QUESTIONABLE BEHAVIOR!!! How prescient, – that these questions and issues have now come into the public light. And hopefully someone will re-ask and we will reexamine the two salient points raised earlier. Hopefully now the public is aware, but maybe not. – Many of us read the book ‘1984’, [If you haven’t get it! – its scarily real] but few seem aware of the dangers of a government so ‘concerned’ with our ‘safety’, and limiting ‘hate speech’ – if not by their own hands, by the corporations that operate under their evermore oppressive thumb.